Everyone wants to make free calls and is very concerned about phone’s credit so I thought to write a Step by Step Guide and make a video tutorial in Urdu/Hindi for viewers from Pakistan and India on this topic.Sometimes you run out of balance and cannot make an important call.In this situation one gets upset, but do not worry if you have an active Internet Connection.Many of us have relatives / friends living abroad like Dubai, Saudi Arabia and various countries too where call rates are very high, you can also call them.Today I will tell you how you can utilize it to make free calls worldwide.The way I will tell you is free of cost and is very reliable.You need to have a mic to be able to talk on call.Mics nowadays are found attached to webcams and headphones / handsfree. So now by not wasting time lets get ahead to the video tutorial.Step by Step Guide for people who dont understand Urdu/Hindi is also present below.If you face any problems regarding this tutorial do not hesitate to share it with me.I go through all comments on my site and I try to answer all of them.You can contact me on Facebook or simply type comment using comment box below this post. I will open Ievaphone first. After opening scroll down there will be an image of mobile phone with keypad open. .A pop up will appear asking permission to allow microphone you have to choose allow and the call will be made. 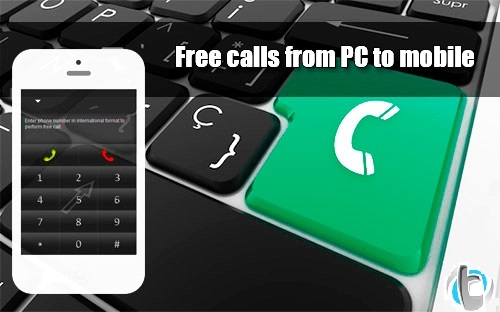 Enjoy free calling.Same is the procedure for Call2Friends if you dont understand watch upper video tutorial. I hope you like this way to make worldwide free calls if you know any other method do share it with us.Do not forget to socialize this post.